Since 5 a.m. ET Thursday morning April 21 the EC2 Cloud Service from Amazon in Virginia is down. Amazon is one of the biggest Cloud Service Providers world wide. Even Barak Obama propagated Cloud Computer Services as new green, safe and reliable IT. Amazon invested a lot of money to make the world believe that their Cloud Service EC2 is high scaleable and high available. Many companies decided to go with Amazon EC2 because they thought the Amazon Cloud would be more reliable than their own IT department. They thought the Cloud would never be down. They thought the Cloud would always scale and always be up. Unfortunately this is not true. The Amazon EC2 Cloud Service is since over 12 hours down. Many sites are affected. Reddit, HootSuite, Foursquare, Quora, Heroku and Radioactive-Map.com. This is the Fukuschima of Cloud Computing! Nobody thought that this could happen. But it happened. 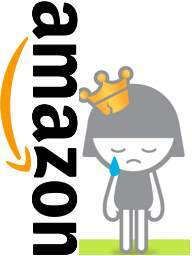 Amazon is down. Foursquare is sad. Also the Ruby on Rails App Engine Heroku is down because they are running on Amazon. Heroku is well-known as rock-solid platform for RoR Apps. Many facebook Apps are hosted on Heroku and now they are all down. Here is a Recovery Status Page from Heroku: http://yfrog.com/z/gzuf7xp. This is a black day for Cloud Providers. Many Managers have to re-think their decisions.